How Does American-Made Furniture Compare to Others? Craftsmanship has been a proud part of American tradition for generations. Looking back at the furniture that has come from the United States since the 17th century, it’s not difficult to see how it has evolved, developed, and still retained a particular longstanding quality and individuality. This is partly thanks to the way different wood is used, which is, in turn, thanks to the trees native to the country. By choosing furniture made in the U.S., you are bringing true American roots into your home. Throughout time, American-made furniture has managed to trend and to set trends. And it’s crucial to continue to choose furniture built in the United States so that the tradition of the all-American craftsman does not die out. By choosing American-made furniture, you are not only helping retain a great U.S. tradition; you are also being true to your own heritage. The beauty of the crafting industry in the States is that it encapsulates all eras: from traditional to modern, taking inspiration from antiques to architecture. If you’re not in the market for an authentic colonial walnut coffee table, it’s just as easy to source a style influenced by Britain or Asia, but crafted by an American artist. If you’re buying furnishings from hard-working, skilled craftsmen, you are supporting the American economy. But this is about culture, too: keeping your home accents grounded in the United States upholds tradition in a world where we are often too quick to dismiss it. In addition, you’re doing your bit for the planet. Think about your carbon footprint when you choose where to shop. If you’re purchasing local, or at least nationally, you help reduce the industrial transport that would be required in an overseas purchase. America is rich in lumber. Buying homegrown gives you a selection of some of the most sturdy, reliable, beautiful wood on the planet. Would you rather feature a dresser or a desk in your home that comes from a thriving American hardwood forest; or from a diminishing, endangered rainforest abroad? 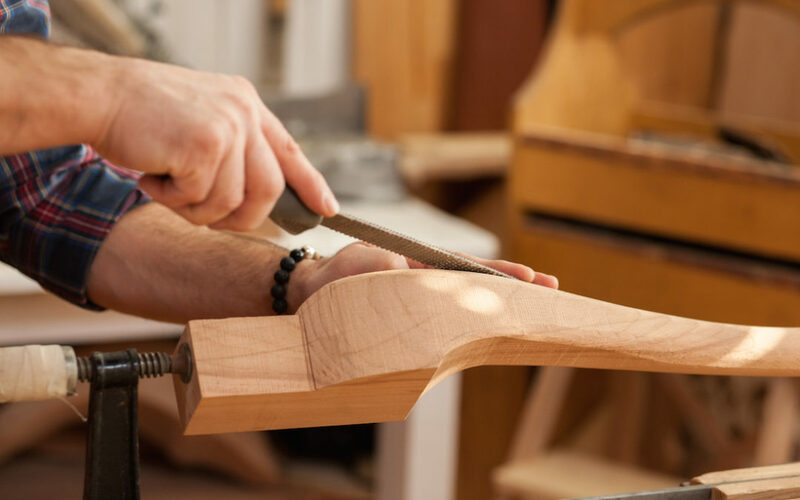 In addition, American-made furniture is likely to be manufactured via conservation-friendly methods. A furniture purchase is often a big investment, and so it makes sense to buy something reliable, sustainable and long-lasting. Furnishings are not a flight of fancy. If they were, international, mass-produced items would certainly seem more appealing. But this is a lasting fixture in your home. It’s an accessory that you use day-to-day and is a statement piece. Quality furniture made in the USA looks, wears, and lasts a lot longer. That means you won’t need to replace your sofa in a few years when the frame breaks, or buy new dining room chairs because yours simply broke when someone sat in it. American-made quality allows you to bring a sense of heritage to your home, all the while guaranteeing you a piece that fits with your design ideas. For more information about customizable U.S.-made furnishings, click here.